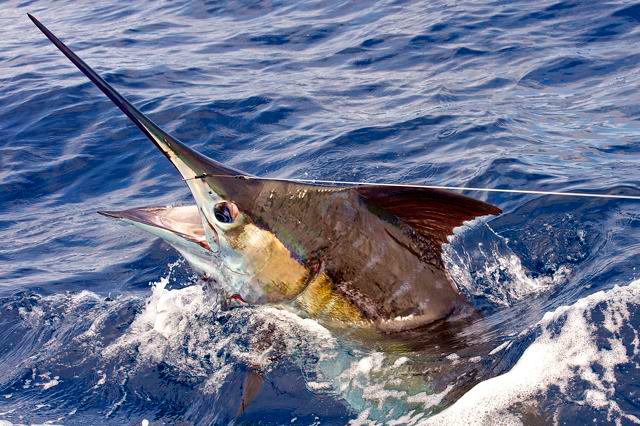 BLUE MARLIN SINGLE-SEASON WORLD RECORD! 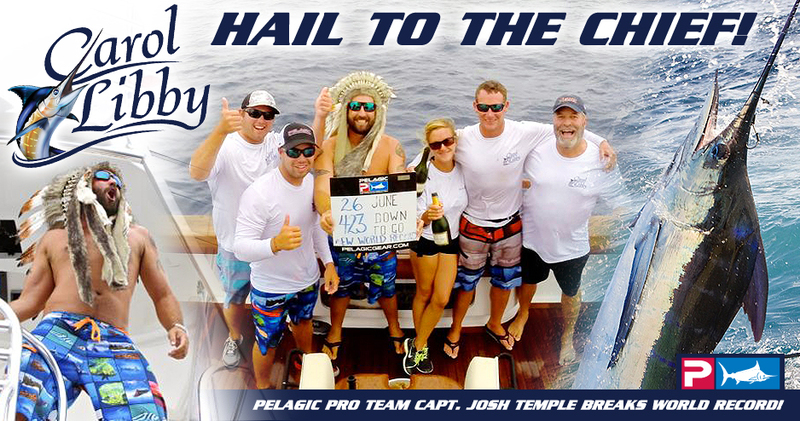 Pelagic and The Waterman’s Journal would like to extend a HUGE congratulations to Pelagic Pro Team Captain Josh Temple and the entire crew aboard the 60’ SpAmerican Carol Libby for their recent setting of a new blue marlin release world record for a single year! “Well, we did it!!! 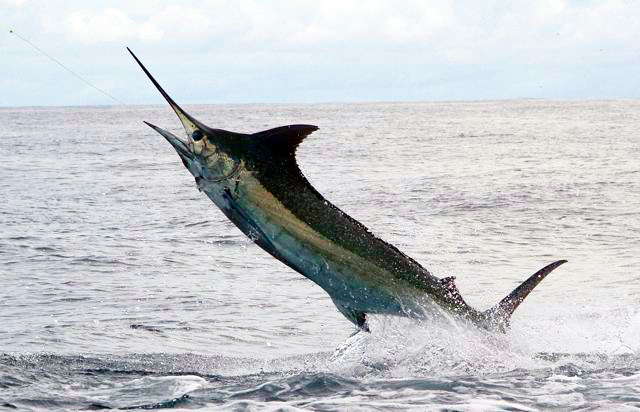 Here are the details from the past 3 days: June 25th - released 10 for 13 blue marlin; June 26th - 12 for 21; and June 27th - 7 for 10. We officially broke the record on June 26th, 2014 when we eclipsed 422 releases (the previous record). 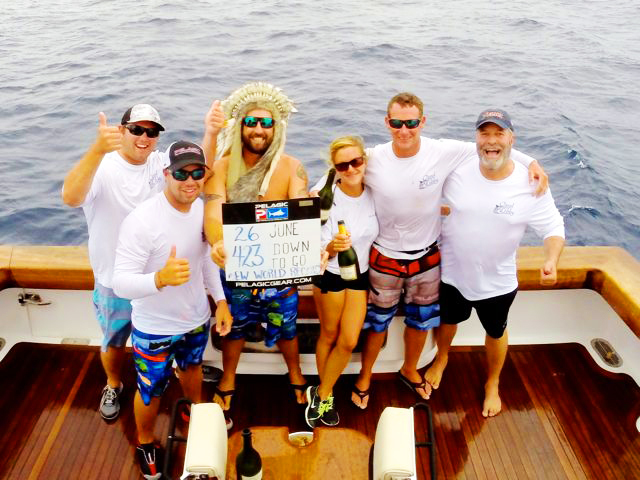 Below: Team Carol Libby - Left to right: Deckhand Tony Carpenter, Angler Keith Brandner, Captain Josh Temple, Deckhand Andrea McQuade, Deck Boss James Brown, Owner/Angler Mr. Greg Brandner. Below: The official tag and release of Carol Libby's record-breaking 423 blue marlin release in one year. 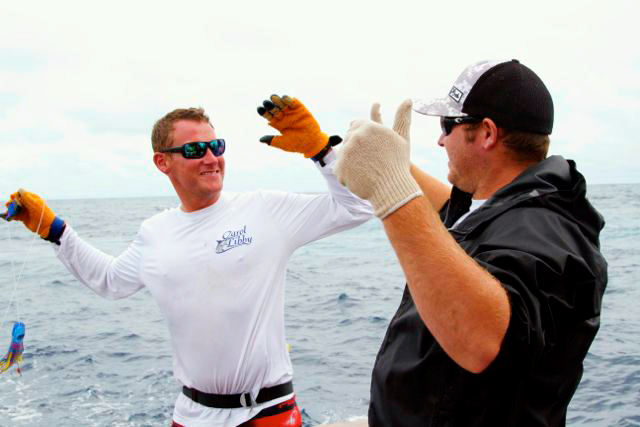 Below: Deck Boss James Brown and Deckhand Tony Carpenter moments after the 423rd release. 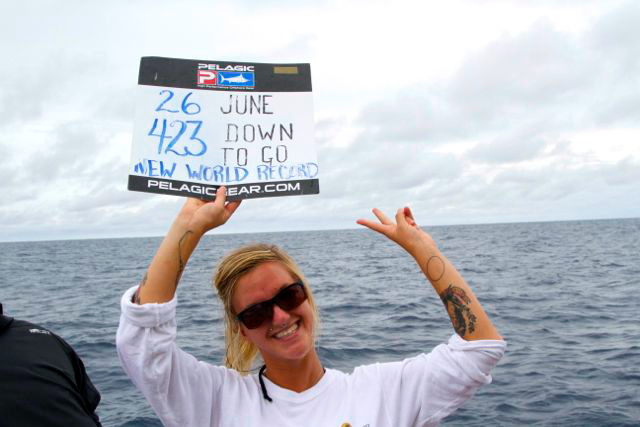 Below: Deckhand Andrea McQuade holds the official release sign aloft. 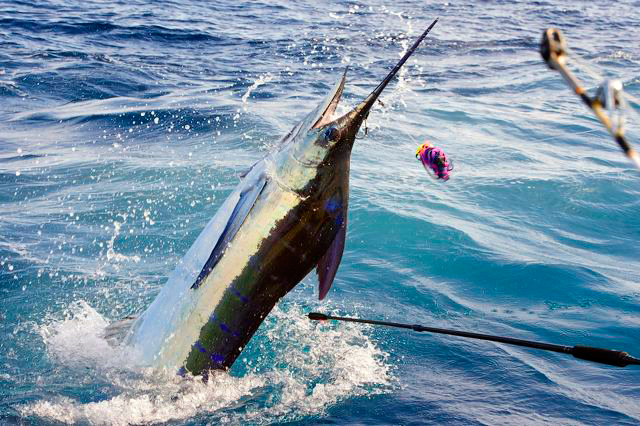 Below: A hot blue marlin torches the flat calm Pacific. Below: Celebrating in style - Deckhand Andrea McQuade with a bottle of Dom for the occasion. Below:1 of 423 blue marlin released by Team Carol Libby. Below: Capt. Josh Temple pops the bubbly. July 1, 2014 - FLASH UPDATE! 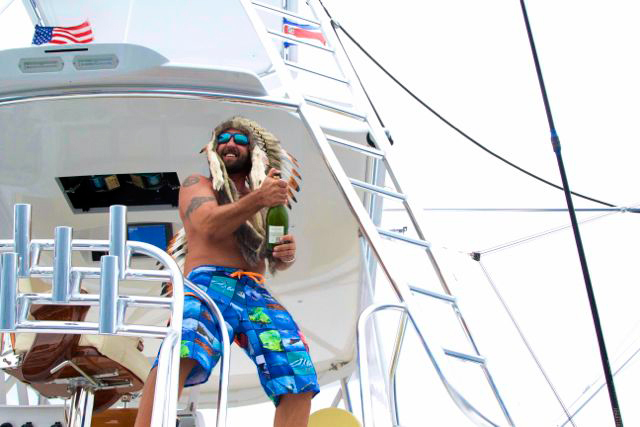 Only days after breaking the single-season blue marlin release record, Capt. Josh called in from the satellite phone to let us know they just released an incredible 34 blue marlin in a single DAY of fishing!!! July 3, 2014 - FLASH UPDATE! Capt. 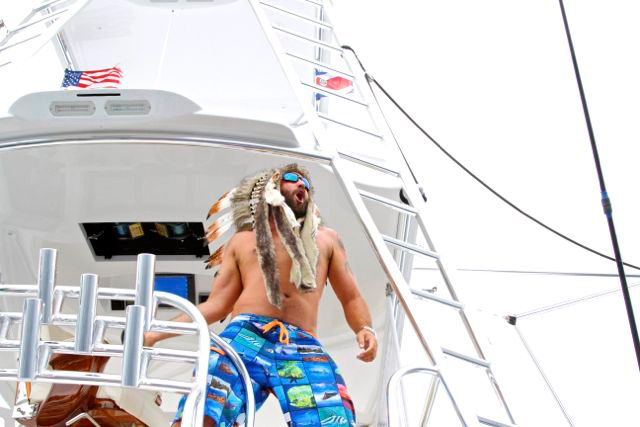 Josh just called in 27 blue marlin releases in a single day! That brings their year total to 503!! !